their “Producers to Watch” list. their “Art Style Society” list. Terrorism, climate change, corporate marketing, and social media lying – technology holds great promise, and great risk. Where are we going? To answer that, we need to ask where we came from. The data collection we do today may be the force that controls our tomorrow. Joshua has grown up in what many would call utopia. There is no war, no hunger, and no disease. There can even be no death, all due to amazing technology. Is it really the Promised Land? “Astro Boy”, or “Mighty Atom” in Japan, was the United States’ first exposure to Japanese Manga and the beginning of Anime. It had, and has, a special appeal to me because of Astro Boy’s belief in his being an outcast, a stranger in a land he loved but felt could not love him back, not really, because he was not real himself. Somehow, I understood him. Martial arts are not about individuals. They are about systems. The thrust of this book is to give to you my perceptions and conclusions on martial arts in the world today. Not a ‘how to’, but how and why we are where we are. Lieutenant Commander Alexandria Novastra finds herself in possession of a legendary device that has the potential to destroy civilization. It is then she learns the device is addictive. She cannot turn this device over to her commanders. Military minds and all-consuming destructive powers do not make a good match. She reluctantly accepts the need to drop out of the system to protect the device and humanity. To do that, she enlists the aid of a crafty ex-con. 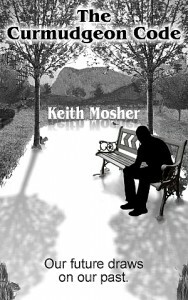 BlogYinYang is the personal blog of author Keith Mosher. 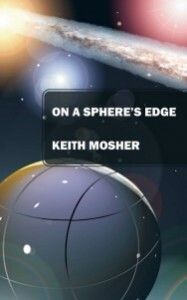 In it you can find stories and discussions ranging from deep to lighthearted. This blog contains some PG-17 Rated material. Those offended by adult language, tread carefully. Anyone may comment, though NOTE: ALL Comments are held for moderation. It is FREE to Subscribe and receive notices about new posts. 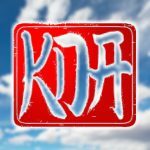 KDA Karate Academy in Columbia, SC.